PDCI Market Access | Kimberly Robinson Joins PDCI Market Access! Home Kimberly Robinson Joins PDCI Market Access! PDCI is excited to announce and welcome Kimberly Robinson as the newest member of the PDCI team. Kimberly will be joining as the Director of Pricing and Market Access effective April 1, 2019 and will be responsible for the leadership of PDCI’s Pricing/PMPRB team. She will be based in the Greater Toronto Area. Kimberly is a well-recognized thought leader in Canadian Pharmaceutical Pricing and Market Access. She spent nearly 18 years at Janssen primarily as a member of the market access leadership team. During her tenure at Janssen, she worked in access submission strategy and execution, health economics and outcomes research, pricing and government relations. From 2005-2012, Kimberly was Director, Strategic Pricing at Janssen. In this role, Kimberly gained extensive experience with the PMPRB process, successfully negotiating prices for over 25 products, resolving dozens of investigations, and successfully navigating the Board’s hearing process. She also contributed substantial feedback during the Board’s 5-year Guideline Review process and was a member of the Rx&D (now IMC) PMPRB working group when it refined the DIP-methodology and initiated the changes to the Board’s CPI Guideline. 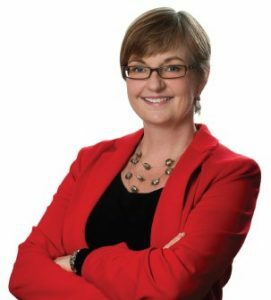 After nearly eight years in the pricing function, Kimberly moved to Government and Stakeholder Relations, serving as Director of Ontario Government and Community Relations for almost two years. In 2014, Kimberly founded PharmaKARe Consulting where she continued to focus on providing strategic pricing and market access advice and services for her clients. Kimberly joins PDCI at a time of unprecedented changes to the PMPRB, continued evolution of the pCPA and greater than ever reliance on HTA to inform pricing and formulary listing decisions. Kimberly’s wealth of experience and strategic insights in all these areas further strengthens PDCI Market Access as Canada’s leading pricing, reimbursement and health economics consultancy. Please join us in welcoming Kimberly to the PDCI team! Kimberly can be reached as of April 1, 2019 at kimberly.robinson@pdci.ca or +1 (416) 567-3630.